Along with drugs, COPD treatment guidelines recommend other treatments to help manage COPD signs and symptoms. Influenza and certain pneumonias can be potentially life-threatening for those who suffer from COPD symptoms, so receiving an influenza vaccination once a year is important. Flu shots? October or November are the best months, as flu season runs from October through March. Some strategies are as straightforward as getting immunized against influenza and pneumonia. Others are more complex. 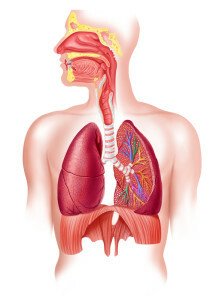 For example, younger adults who have emphysema as a result of a hereditary deficiency of alpha-1 antitrypsin may be treated with alpha-1 antitrypsin augmentation therapy. For more severe cases, the COPD care plan is likely to include a specialized exercise program called pulmonary rehabilitation has been shown to improve the ability to exercise and engage in basic daily activities with less shortness of breath. Oxygen therapy may be required for severe disease, while some people with advanced COPD may be candidates for lung volume reduction surgery or for lung transplantation. For people with obstructive airway diseases, influenza and some types of pneumonia can be very serious and potentially life-threatening. It is extremely important that everyone in that position follow the recommended vaccination schedule or their doctor’s advice. The pneumococcal vaccine protects against the bacteria that’s the most common cause of pneumonia (Streptococcus pneumoniae). 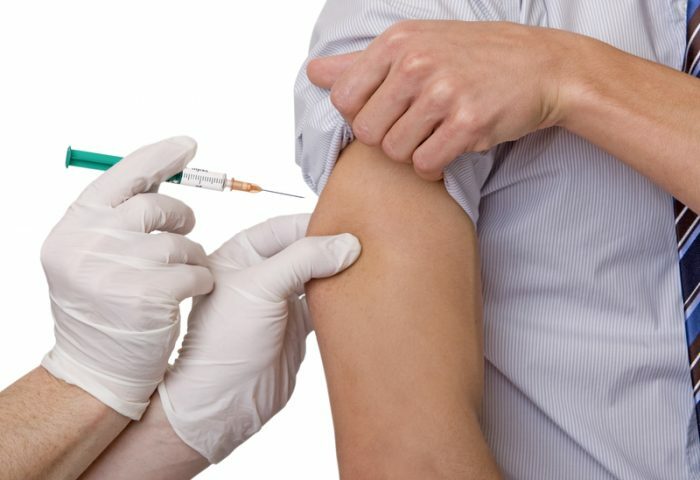 The pneumococcal vaccine is available in two formulations (Pneumovax, and Prevnar 13), and is recommended for all COPD patients age 65 and older. It also may be given to patients with COPD who are younger than age 65 and have severe or very severe disease (FEV1 COPD less than 40 percent of predicted). Unlike the flu shot, which must be given every year in the fall, pneumococcal vaccination provides protection for at least five years. It can be given at any time of the year. Alpha-1 antitrypsin is a protein that circulates in the blood. Augmentation therapy uses a concentrated form of this protein, which has been removed from donated blood and purified. This therapy cannot reverse damage that has already been done to the lungs, but it may slow down the further decline of lung function. The therapy must be taken for life, and is very expensive. It must be administered by a healthcare professional in a doctor’s office or hospital clinic, or through home infusion services. The costs may be covered by private health insurance policies, but criteria for coverage can vary widely—before beginning therapy, check with your insurance company. For people age 65 and older, Medicare covers at least part of the cost. A very helpful addition to drug therapy for people who have moderate, severe, or very severe COPD according to the GOLD COPD guidelines is a specialized program called pulmonary rehabilitation. People with COPD signs and symptoms tend to decrease their physical activity, since shortness of breath makes exertion more and more difficult. Decreased activity can start a vicious cycle of progressive deconditioning, and this leads to worsening of symptoms and more breathlessness, with less and less physical activity. Unfortunately there are no COPD cures. But COPD patients at all stages of the GOLD COPD guidelines can benefit from a pulmonary rehabilitation program—in fact, one study found that patients in the earlier stages of COPD derived greater benefits for their COPD signs and symptoms than those in the later stages. Although those with less-advanced COPD had better results, those with severe COPD also had improved ability to exercise and less shortness of breath. This research suggests that when it comes to pulmonary rehabilitation, the earlier it is done the better—however, all of the patients were helped by the program. Other studies have found that pulmonary rehabilitation benefits are generally sustained for up to 18 months after the program ends, especially if the exercise training is maintained. There are many pulmonary rehabilitation programs around the country. Your physician can most likely refer you to one; alternately, contact the American Lung Association (www.lungusa.org) or the American Association for Cardiovascular and Pulmonary Rehabilitation (www.aacvpr.org), which has a searchable online directory of pulmonary rehabilitation programs. Health insurance may or may not cover pulmonary rehabilitation: You’ll need to check with your insurance carrier. The guidelines for Medicare coverage of pulmonary rehabilitation vary from state to state—check with your physician or pulmonary rehabilitation provider to obtain the guidelines in your state. advanced copd, bacteria, cardiovascular, chronic obstructive pulmonary disease, cold and flu, common cold, copd, copd care plan, copd complications, copd guidelines, copd signs, copd signs and symptoms, copd stages, copd symptoms, emphysema, exercise, exercise program, fev1 copd, flu, Flu shot, gold copd, health, is copd fatal, is copd reversible, nutritional assessment, obstructive pulmonary disease, oxygen therapy, physical activity, pneumonia, protein, pulmonary disease, pulmonary rehabilitation, severe copd, shortness of breath, smoking, stages of copd, strength, what does copd stand for.